I participated in Dewey’s readathon this weekend. If you didn’t see my blog post or didn’t catch my latest updates, here is a link. All of the polishes used for this manicure was borrowed by my friend Lisbeth. Even with a nail polish collection the size of mine, it’s so much fun seeing and borrowing what other people have. I had to cut all of my nail short, but that’s actually okay, because I like fall and winter colors on short nails. 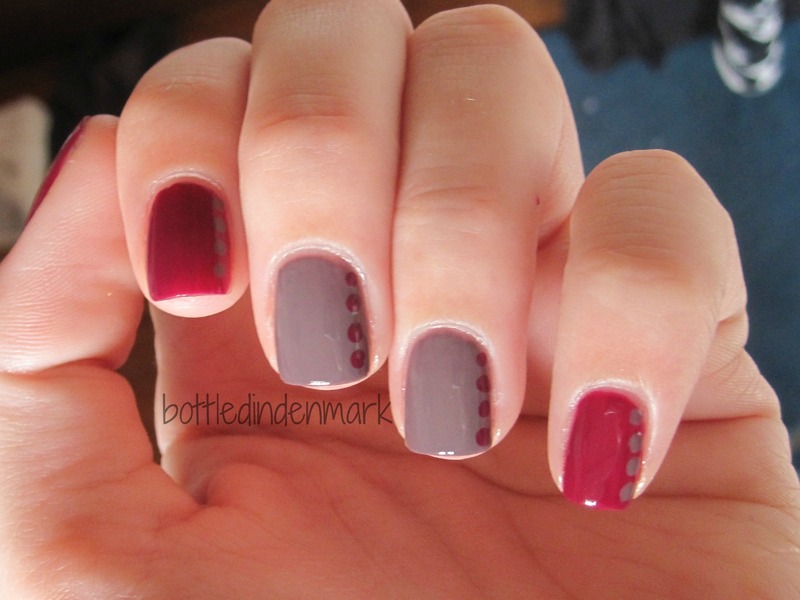 Such a pretty mani! I have both colors and might have to recreate it!! What did you use for a top coat?! It looks so perfect and professional. Thank you! I always use Seche Vite – dries really quickly and dries with a hard layer that I don’t see in other top coats. If you recreate it, I’d love to see pictures! Ah that’s what my best friend uses! I’ll have to check it out.